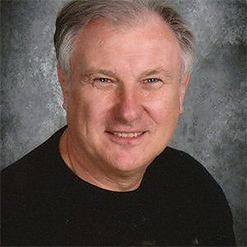 He has been a college teacher for 32 years at the University of Denver, Villanova University in Philadelphia, Kennesaw State University and Mercyhurst College in Erie, PA. He has also worked as the executive director of the Anti-Prejudice Consortium (2005-2008), as an advertising designer, a public relations & advertising coordinator for a manufacturer and a newspaper reporter. Dr. Welch spent four years in the USAF as a photo interpreter including a tour in Vietnam & Thailand, where he met his wife, Jill Williams, who was an assistant director of the USO on Udorn Royal Thai Air Force Base. Dr. Welch has a bachelor’s degree in journalism from Duquesne University in Pittsburgh and a master’s and Ph.D. from the University of Denver in mass and speech communication.